Want to make money online? Want to know how to sell products online? Do you want to start an eCommerce business? What’s the best eCommerce platforms or websites? Well, here’s our Shopify, BigCommerce, Weebly, Wix, Wordpress, and WooCommerce review. Ecommerce platforms have made entrepreneurship easier. Shopify, BigCommerce, Weebly, Wix, Wordpress, and WooCommerce has made making money online easier than ever with their eCommerce platforms. Best eCommerce platform? Well, that’s a matter of opinion and your needs. Each eCommerce platform has its benefits. There isn’t a best eCommerce platforms, sites, or softwares. It really comes down to how many products you have, your budget, and your business ambitions. Shopify, BigCommerce, Weebly, Wix, Wordpress, and WooCommerce help you achieve your goal, which is an eCommerce sites where you make money online. In our comparison, we’re going to compare Shopify vs BigCommerce vs Wix vs Weebly vs Wordpress WooCommerce. We’ll going to discuss each eCommerce website, or platform, in detail and we’ll try to figure out what is the best eCommerce platforms for your eCommerce business whether you want to sell photos online, sell cars online, sell clothes online, or sell products online. What is Shopify? Shopify is an ecommerce platform with a point-of-sale (POS) option for brick and mortar stores. In other words, Shopify is a full-blown retail platform to help you sell your products online and in store. It’s everything you need under one roof. Shopify is one of the easiest platform to build an ecommerce website with a PCI compliant SSL. With Shopify, you can sell your own products or do drop shipping with Oberlo. It’s completely up to you. They have a drag-and-drop theme option to make building your online store easy. Shopify offers unlimited product inventory and customer data whether you’re on Basic Shopify, Shopify, or Advanced Shopify payment plans. Furthermore, Shopify offers unlimited bandwidth, which is key to having a successful eCommerce platform. Unlimited bandwidth means they don’t slow down your online store if you happen to see a surge in online visits. This is crucial to online sales because studies have shown slower websites have an increase in customers leaving the ecommerce site. Shopify integrates into social media platforms like Pinterest, Instagram, and Facebook. They have a Shopify Lite where you can use Facebook as your online store. In addition, Shopify integrates into Amazon. In other words, you can sell your products through Amazon. Shopify accepts external payment gateways like PayPal, Authorize.Net, 2Checkout, First Data, and Amazon Pay. However, they have their own payment gateway that’s powered by Stripe. Shopify POS works with Android and iOS and Android devices. It’s simply background management via Shopify’s admin. It could find products, process orders, take payment, swipe credit cards, produce receipts, and control it all from your iPad or mobile device. Lastly, Shopify has discounted shipping rates with USPS, UPS, and DHL. Shopify users can prepare multiple orders at once with bulk order fulfillment and label printing that works out of the box. In addition, Shopify tracks every step in the order, so you don’t have to copy and paste another address again. You can choose to show exact rates from carriers or offer flat rate shipping to your customers. The best part is you can print labels from a computer or your phone using a thermal label or desktop printer. It’s that easy. What is BigCommerce? BigCommerce is another ecommerce platform like Shopify. They basically do the same thing, which is to help you build an eCommerce website. BigCommerce vs Shopify? Each has its pros and cons. BigCommerce is used by merchants in more than 150 countries. Merchants are able to ship their products globally by integrating their stores with the world’s most popular shipping providers. In addition, merchants can configure tax for nearly any country using BigCommerce’s built-in calculator. BigCommerce is trusted by Toyota, Paul Mitchell, Kodak, Martha Stewart, Gibson, and Camelbak. Like Shopify, BigCommerce offers a PCI compliant SSL with 99.99% server uptime. BigCommerce requires no hosting, maintenance or update expenses unlike Magento. It’s pretty simple to setup your own store with their templates and themes whether you’re selling your own products or partnering with a dropshipper like Doba and Ordoro for your products and order fulfillment. BigCommerce offers recurring payments on subscriptions, which is a big bonus for merchants looking for a steady monthly income. BigCommerce accepts any payments in any currency. They offer payment gateways like Stripe, PayPal powered by Braintree, 2Checkout, Vantiv, Adyen, Chase Paymentech, and Worldpay. The Adyen integrations is a great option because Adyen offers more than 250 payment methods based on your customer’s location. I think the biggest difference with BigCommerce vs Shopify is BigCommerce’s alternative payment options. BigCommerce has built in solutions where you can offer your customer financing options, invoicing, or installment payments. It’s something Shopify doesn’t offer for its ecommerce platform. On top of that, BigCommerce offers integrates with PayPal, Amazon Pay, and Apple Pay. BigCommerce definitely beats Shopify in the shipping department. They offer more shipping solutions with real-time shipping quotes. BigCommerce lets you print shipping labels for Royal Mail, Canada Post, Australia Post, USPS, UPS, FedEx, and DHL. Give your customers the most accurate shipping quotes available with real-time rates from major carriers like UPS, USPS, FedEx, Australia Post, Royal Mail, Canada Post and more. BigCommere helps merchants save 50% on USPS and online rates. Furthermore, BigCommerce lets you tailor free shipping offers based on specific zones, products, coupon code, and order total. BigCommerce doesn’t offer an in-house point-of-sale solution like Shopify. However, you can connect your online store to Square, ShopKeep, or Springboard Retail. Your inventory is automatically updated whenever you make a sale, online, or in-person. BigCommerce offers a seamless approach to multi-channel sales and it serves as a hub for all your different channels. BigCommerce is the only ecommerce platform that integrates with eBay, Amazon, Facebook, Pinterest, Google Shopping, Buy Buttons for blogs, emails, and other marketing techniques. WordPress is a little different from Shopify and BigCommerce. Actually, it’s a lot different in terms of managing your online store and server hosting aspect. Wordpress is a content management system that could be use on almost any server except for propriety eCommerce platforms like Shopify, Wix, BigCommerce, or Weebly. What’s a content management system? It’s basically a computer application where you can easily create or modify content on your website. Wordpress provides two options for running an eCommerce site: 1) self-host on a third-party hosting service like SiteGround, HostGator, WP Engine, or InMotion Hosting or 2) you can host your eCommerce website with Wordpress.com. Wordpress.com is similar in nature to Shopify or BigCommerce; however, additional plugins will be needed to convert your Wordpress site to an eCommerce site. The WooCommerce plugin will need to be added to turn your Wordpress site into an eCommerce website whether you decide to self-host or host via Wordpress.com. Did I confuse you? Okay. Let’s me give you an analogy. Wordpress is like your house. Plugins are home add-ons like a walk-in closet or an indoor pool. 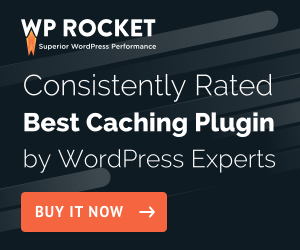 Each Wordpress plugin has different functions to improve your home whether it’s adding an eCommerce plugin (e.g., WooCommerce) to your Wordpress site or adding a security plugin to protect your Wordpress website from hackers. Got it? Good. First and foremost, let’s talk about hosting on Wordpress.com then I’ll get into self-hosting on SiteGround, HostGator, WP Engine, or InMotion Hosting. Wordpress.com offers unlimited storage with email and live chat support. Wordpress.com’s Business pricing option doesn’t specify much; however, there are plugins that could do everything BigCommerce and Shopify offers with their eCommerce platforms. The best part about Wordpress is its large third-party plugin (i.e., apps) collection. Wordpress’s third-party plugins can only be outdone by iOS and Android Apps. Now, back to WooCommerce. Best part about WooCommerce? It’s a free plugin, which makes it the best Wordpress eCommerce option. WooCommerce works perfectly for anyone who wants to run a basic eCommerce site where you’re just selling simple products. In other words, digital products for download, t-shirts, jewelry, music, and etc. You can even sell photos online or sell books online with WooCommerce. Also, there’s a WooCommerce plugin, or third-party plugin, for anything you want to do to with eCommerce website. It’s the best eCommerce for Wordpress. Want to start an affiliate program? There is iTThink affiliate plugin ecosystems or there’s Magic Affiliate plugin. Want to sell memberships? Check out WooCommerce Memberships, MemberPress, or MagicMember. Want to sell monthly subscriptions? There’s WooCommece Subscriptions. The possibilities are endless. However, these are premium plugins. In other words, they cost extra money to use. However, WooCommerce plugin inventory is pretty extensive. They have payment gateway plugins for Stripe, PayPal, Amazon Pay, and Authorize.Net. In addition, the Stripe plugin offers Apple Pay and Alipay integration. In addition, you can issue coupon codes using WooCommerce. WooCommerce has a shipping plugin for live USPS shipping quotes or the option to offer a flat rate shipping for specific zones. It’s completely free to use with the ability to print shipping labels. Wordpress and WooCommerce’s main advantage over BigCommerce, Wix, Weebly, and Shopify is the ability to scale and add additional features to your eCommerce site. 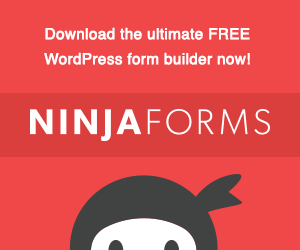 It’s pretty amazing what you can do with Wordpress and WooCommerce. Now, let’s talk about self-hosting your Wordpress eCommerce site. When you self-host your Wordpress eCommerce site, you don’t lose any functionalities or perks. It’s pretty much the same except you would have to manage any issues that may arise with your hosting server. However, most hosting servers have a great customer service and they’ll help you with your issues. In addition, it might be cheaper to self-host your Wordpress eCommerce site with SiteGround or InMotion Hosting. They’re shared hosting plans for less than 4 USD a month with SiteGround or 25 USD a month for VPS hosting with InMotion Hosting. I highly recommend going with a higher tier hosting plan if you’re planning to run an eCommerce site. The entry level hosting will not cut it. Check out SiteGround’s hosting plan here and InMotion Hosting’s VPS plans here. Read our hosting service recommendations here. What is Weebly? Weebly is another eCommerce platform option. However, eCommerce isn’t their specialty since they offer blogging options too. Weebly is famous for being a free online website creator who uses simple based site builder. In other words, Weebly has a Drag & Drop website builder. Weebly make it easy for anyone to build a blog or an eCommerce site. I would put them in the same category as Wordpress except you can’t self-host your Weebly site. Weebly eCommerce option has unlimited storage with individual file size restrictions. In addition, you can monitor your eCommerce site’s statistics, update posts, respond to comments, and add/update products. Weebly’s utilizes PayPal, Stripe, or Square for its payment gateways with an automated tax calculator at checkout. Weebly has followed Wordpress’s lead and added an option to add plugins (i.e., apps) for additional features. Furthermore, Weebly’s eCommerce site has the ability to feature customer reviews to help build trust and interest for your products. Weebly eCommerce platform’s shipping offers real-time shipping quotes via carrier, address, weight, and quantity for both domestic and international orders. Like the other eCommerce platforms, you can create coupons and sale gift cards to help boost sales. Weebly provides a product search option with badges for low stock or sale items. It has an easy inventory management tool with an option to import or export inventory as you add more products to your eCommerce site. Weebly has an option to use customizable email templates to recover abandoned carts or send welcome emails. Weebly optimizes your eCommerce site for SEO for ranking on Google, Yahoo!, and other search engines. In addition, you can conveniently create Facebook ads directly from Weebly’s dashboard. Weebly provides step-by-step guidance via chat, email, or phone. They’ll walk you through from setting up to officially launching the eCommerce website. What is Wix? Wix is a growing eCommerce platform option with a lot features. Wix is in the same category as Wordpress and Weebly. They offer both eCommerce websites and blogs; like Weebly, Wix offers an online drag and drop website builder. Wix also makes it easy for anyone to build a blog or an eCommerce site with a custom domain and choose colors that fit your brand. Wix eCommerce platform lets you connect an existing domain or create a new one. For your eCommerce site, you’ll get 50GB of storage and unlimited bandwidth with any of their Premium Plans. Wix has an option to show off your popular items, new arrivals, and on-sale products on your storefront. You can also categorize your products or display them individually; Wix offers a search bar to make it easy to find products in your store. Wix offers worldwide shipping. You can customize your tax and shipping rules for each city in the world. What if you have a brick and mortar shop? No problem. Wix has a great Google Maps option to display your physical store’s location. Customers can click on it to get directions to your physical store. Wix has an option to flaunt your eCommerce website’s visitors. In addition, they have a SEO analytics tool to help improve your Google ranking and an easy-to-use SEO campaign to help promote your eCommerce site. In addition, Wix eCommerce sites are mobile optimized to help maximize revenue from your eCommerce store. Wix’s easy customer reviews help build trust with new customers. They let you display your best reviews to help encourage sales on your site. What I like about Wix? They have birthday rewards to help boost sales. For example, a customer will receive a personalize email with a coupon code on their birthday. What else? They have customizable holiday badges to promote sales on your eCommerce store. Wix isn’t limited to physical goods either. You can set up your Wix site as a digital store; in other words, you can sell ebooks, music, videos, software, pictures and more. It’s a great way to monetize all those great pictures on your Instagram. Wix eCommerce sites has an option to offers coupons for free shipping and other promotional discounts. With Wix, there’s multiple payment options; Wix accepts credit cards, PayPal, and offline payments. The best thing about Wix? They take no commission fees from any transactions; also, they don’t have any processing fees unlike Shopify, BigCommerce, or other payment gateways. There’s a PayPal button to accept payments or donations in different currencies. Wix stands out from the rest because of the ability to display a pricing table. It’s a great way to showcase different products, features, and plans side by side. Wix eCommerce platform makes it easy to track your income, expenses, orders and inventory. You’re able to create professional invoices all under one roof. Wix recognizes the importance of email marketing. 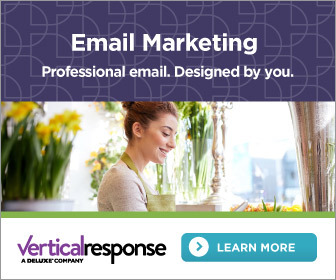 They have an email marketing automation tool that’s ready to use for your marketing campaigns. You can include coupons, promotions, and discounts in your customizable emails. Wix eCommerce site helps with building your mailing list by letting visitors sign up for your mailing list in seconds. They keep the list manageable by organizing your customer’s information in one place. You can send text messages with store updates, directions, and coupons directly from your Wix eCommerce website. It’s as easy as that. How does Wix stand out? They have a live chat option. You can chat with visitors in real-time and answer any questions. You can send them direct links to products, give feedback, and reassure them of any concerns. Wix has a Skype call and chat button where it lets customers call or chat with you via Skype. This is all done on your eCommerce website. Want to promote a specific product or current sale for new visitors? Wix has a pop up tool where you can promote the sale or product as soon as the new customer arrives on your site. Wix has fully-customizable social media icons. There’s Facebook shares and a Facebook Like popup to make it easy for them to follow your business on Facebook. There’s a YouTube subscribe button, a Pinterest Follow/Pin it button, a Twitter feed to help compile your best tweets, and a LinkedIn follow option to grow your network. Furthermore, you can showcase all your Facebook, Twitter, Instagram, YouTube, and Pinterest post on your Wix eCommerce site. Wix helps you expand your business on social media with an option to offer coupons for social media shares. Lastly, Wix integrates with your Shopify, Ecwid, and Etsy stores.